All of the above companies offer the standardized plans as designed by the NAIC. With all the choices you have for your health care coverage, it's important to understand how each one works, its benefits and your share of the costs. Here's a brief look at how Medicare supplement insurance differs from other coverage. 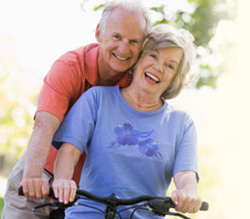 5 Reasons to choose a medicare Supplement Insurance policy. Every year, your medicare supplement insurance policy benefits coordinate with your Medicare benefits to help you meet eligible health care expenses, depending on the plan you choose. #2 Choose your Doctors and Hospitals. #3 Coverage is guaranteed Renewable. #4 Providers Accept Patients with Medicare Supplements Insurance. Your medicare supplement policy enables you to see any doctor or provider who accepts medicare. Just like Medicare, you Medicare supplement covers your health care needs anywhere in the United States. Some Medicare supplement plans even provide care outside the country. That way, you can confidently travel or Live part of the year anywhere you choose. Your employer discontinues its group retiree health coverage. You leave a Medicare Advantage plan within a year of joining and return to Medicare. Medicare pays a portion of your health care cost for hospitalization, skilled nursing facility care and physician's services and supplies. However, it does not pay all of your expenses and requires you to pay deductibles and coinsurance for many services. A Medicare supplement insurance policy may help pay some of the charges Medicare doesn't cover. For plan details, ask your insurance agent. What is a Medicare advantage Plan (Part C)? These plans pay for the doctor's visits, Hospital cost and, in many cases, prescription drug coverage. They may also include benefits like vision, hearing, dental and/or health and wellness programs. Some plans allow you to visit any Medicare-eligible provider, while others have a network of doctors and hospitals. some plans have a $0 monthly plan premium. You must continue to pay your part B premium and your Part A premium if you have one. Many Medicare Part D (Prescription Drug ) Plans are now available through my agency on a guaranteed basis for those on medicare. "I am looking for plan the helps me pay for my prescription drugs." Have original Medicare Parts A & B? If so, you can get help paying for prescription drugs through a stand-alone Medicare Prescription Drug Plan (Part D) These plans are only offered by insurance companies, and are approved by Medicare. When choosing,keep in mind what drugs you take, what pharmacies you go to, and what plans are available in your area. Costs and the covered drugs can very from plan to plan. I will be more than happy to meet with you to review your medicare coverage and council you on which plan would be the most advisable. The government wants everyone to have some sort of drug coverage as soon as they are eligible. There may be added cost for late enrollments. Contact me today for a interview.